During cutting operation the layers adjacent to the tool get deformed, this cause curling of chip into the spiral shape. The force applied during the cutting process deform the layer that in contact with the tool and this layer become thicker finally results in the curling. This also produced when the direction of flow of chip is changed when it flow over the tool face. Another reason for curling of chip is that the non-uniform temperature of the chip throughout its thickness. 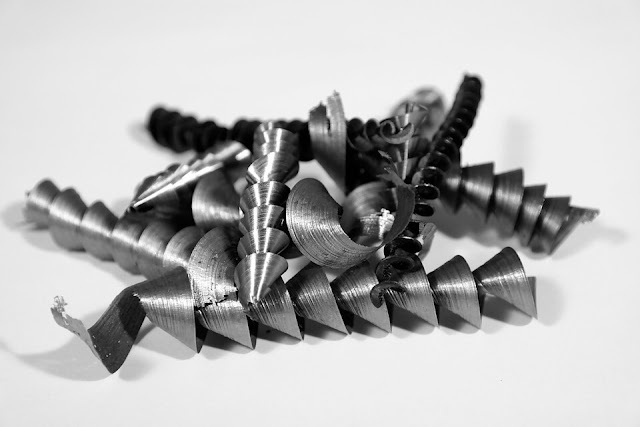 Depending on the machine condition the chip may curl into a spiral or helix. Otherwise, the chip breaker is used to break the continuous chip. When obstruction type chip breaker is used to control the continuous chip, the chips at the end of the chip-tool contact start to curl away from the tool face. It maintains a constant radius of curvature until it breaks away or clears the chip breaker. 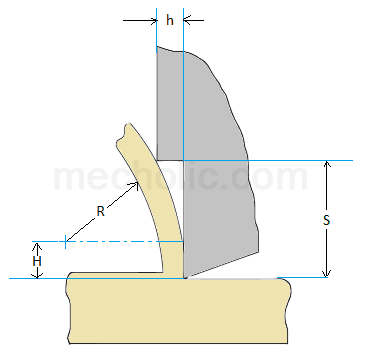 This radius is denoted as the radius of chip curvature.